For most corporations, the budgeting process for 2015 has begun. Managers are calculating changes in volumes, adjustments to vendor contracts and requests for new equipment or software. One factor that’s difficult to estimate this year – postage rates. Last December, the Postal Regulatory Commission (“PRC”) conditionally approved the US Postal Service’s (“USPS”) request for an exigent rate increase. That meant on January 26, 2014, postage rates increased an average of 6.0%. In brief, the PRC determined that the USPS didn’t adequately break out losses due to electronic diversion from the losses due to the recession. The PRC analysis determined that the recession caused the loss of 25.3 billion pieces with a value of $2.8 billion. The exigent rate increase will stay in effect until the USPS recovers the $2.8 billion, with the additional requirement of reporting quarterly on revenues generated by the rate increase. Based on current estimates, that will occur in late 2015 – probably September or October. Oral arguments for the two cases are scheduled for September 9, 2014. It can be months after that before a decision is handed down. If the courts direct the PRC to reconsider the evidence, it will be more months before they make a ruling. Budgets will be finalized and 2015 spending will be taking place. The USPS can file for a January 2015 rate increase based on the Consumer Price Index (“CPI”). For the 12 months ending in July, the annual rate of inflation is at 2%. Or, the USPS may hold off on that increase until the expiration of the exigent rate increase. In a filing before the PRC on August 26, 2014, the USPS made it clear it has not decided which route it will decide to take. A rate increase in January with a rate reduction in mid-4th quarter is a worst-case scenario for mailers, but a probable best-case scenario for the USPS. The USPS can use the money from the January increase to pay down debt, and offset the rate reduction when the exigent rate increase expires. Other industry leaders have expressed the opinion that it would be difficult for the USPS to change rates twice in one year. However, the two Priority Mail rate changes in 2014 have demonstrated that changing rates is no longer a challenge. The arguments in the lawsuits by the USPS and the mailers are based on disagreement over economical formulae and theories. The response filed by the PRC was well-stated, and commercial mailing volumes for 2014 haven’t plummeted. No one can predict how the court will rule, but it’s risky to budget based on them overruling the PRC. Congress is no closer to legislative reform than they were at the beginning of the year. The Senate can’t even process the confirmation of nominees to the USPS Board of Governors. We may have a repeat of 2006, with legislation passed on December 30, 2014. But this is a far different Congress. 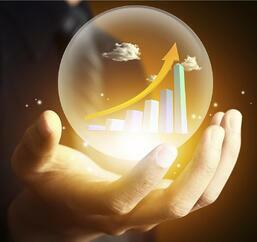 We don’t own a crystal ball, and no one can predict the future. But with the facts available today, it’s the most prudent budgeting advice for mailers to prepare for a January rate increase.